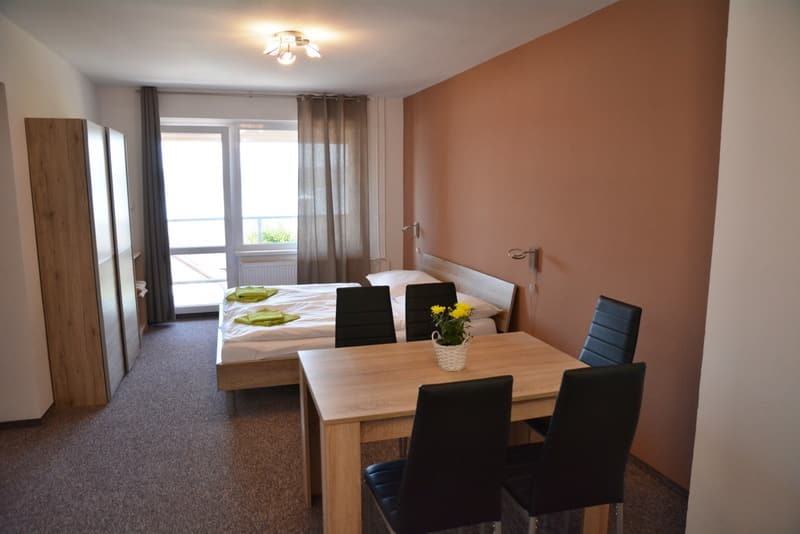 The newly renovated apartment has a separate bedroom with double bed, wardrobe, bedside tables. 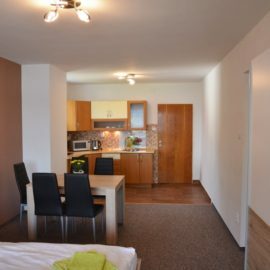 The living room is furnished with 2 beds, sofa, coffee table, dining table, i has a kitchenette with cooker, fridge, kettle, microwave. 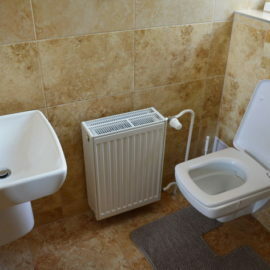 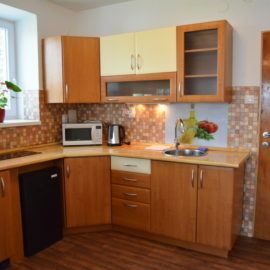 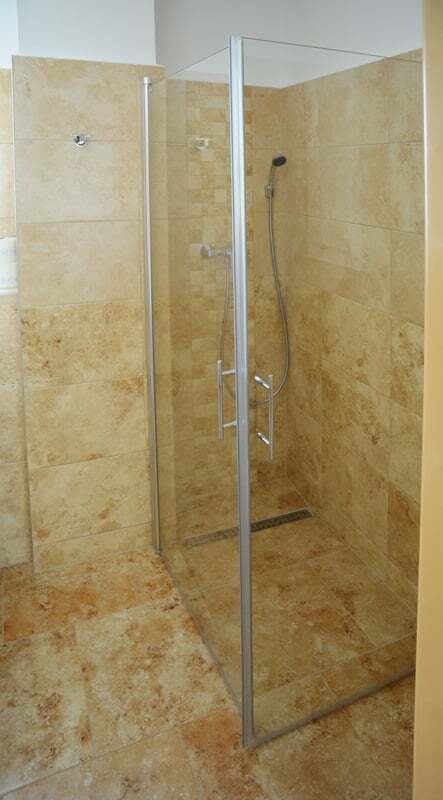 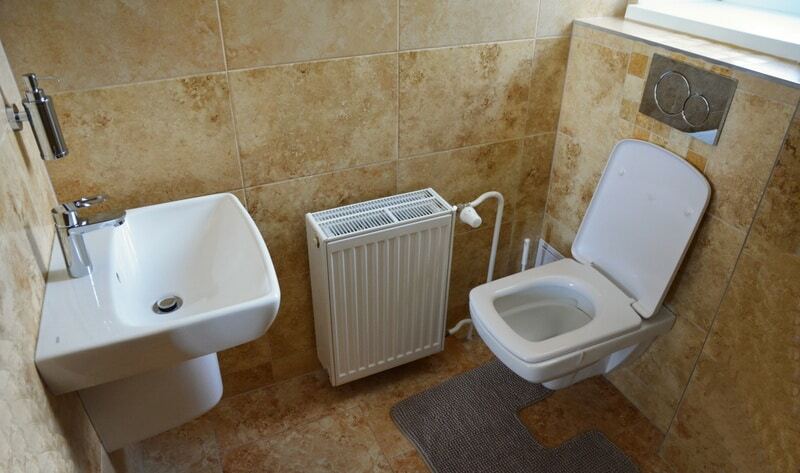 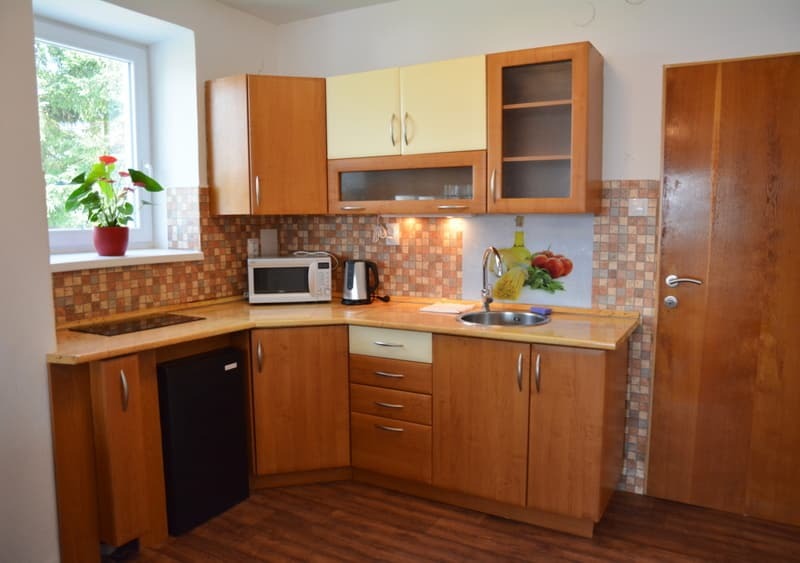 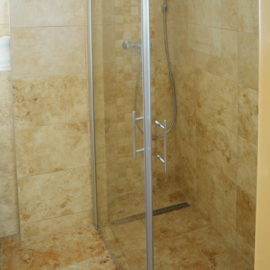 The apartment has a modern bathroom with shower and a large balcony with seating and a beautiful view of the Lipno dam. 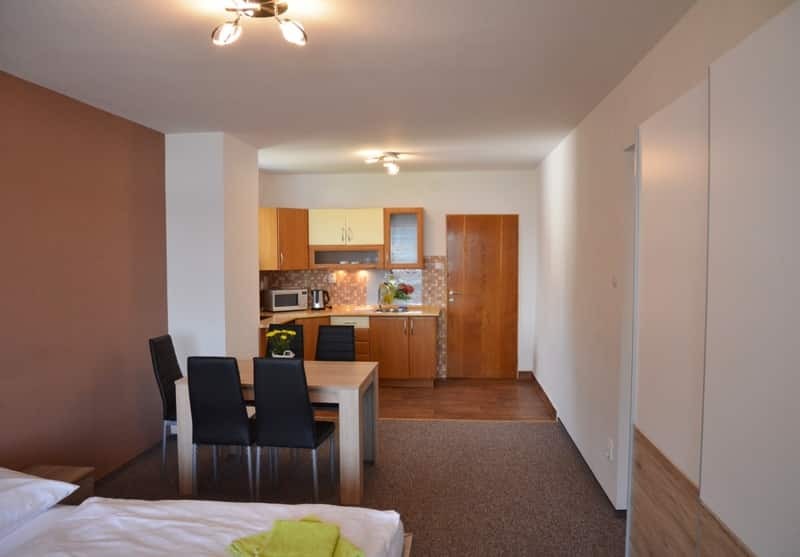 The apartment is carpeted and therefore not suitable for guests with pets.